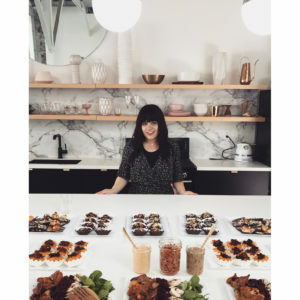 Hanukkah Latke Hack - Kosher In The Kitch! Hanukkah Latke Hack - Kosher In The Kitch! 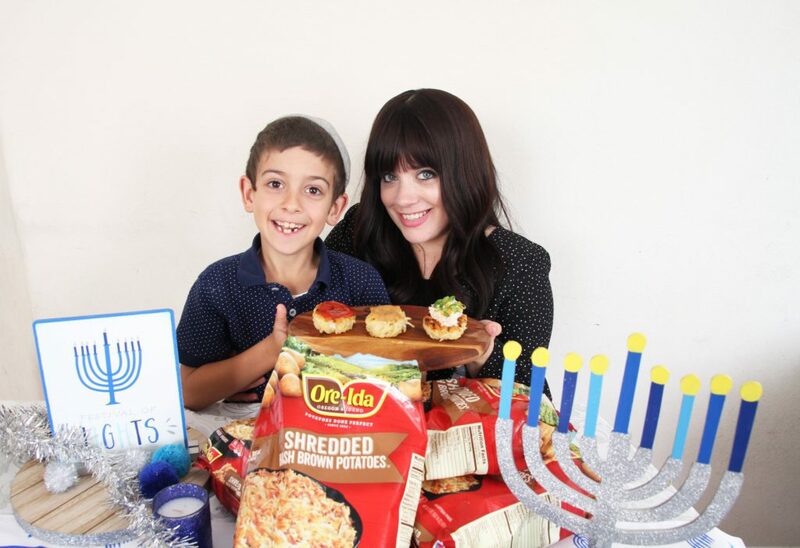 Before you start flipping latkes I have got a Hanukkah hack for you! 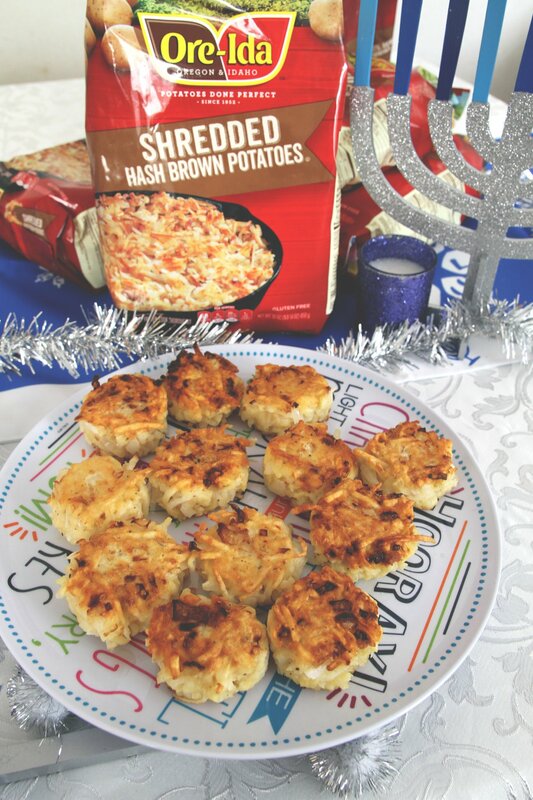 Skip peeling and grating potatoes and get yourself a bag of Ore-Ida Frozen Hash Browns! You get the same crisoy latkes without the fuss. Easy enough for little helpers in the kitchen. 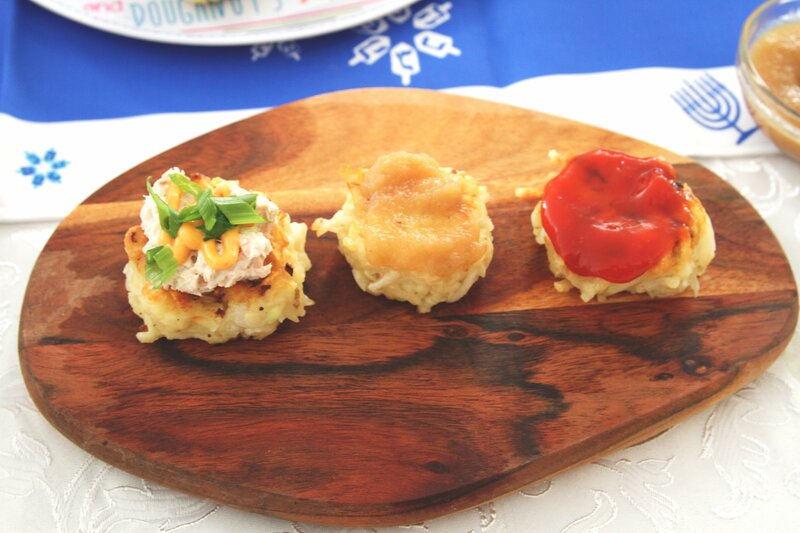 Enjoy this EASY recipe for spicy tuna latkes the whole family will enjoy. Happy Hanukkah! Combine ingredients together. Heat up a pan with oil and using a tablespoon measuring spoon scoop out batter and cook in batches until both sides are golden brown. Top with spicy tuna then drizzle spicy mayo on top and add chopped green onions. Tips & Tricks: You can also top this with sushi spicy tuna and sliced avocado! *** This post is sponsored by Ore-Ida.